Want to treat someone special to a voicereel session? You'll be sent a gift card that you can give them (or an email version if it's last minute). 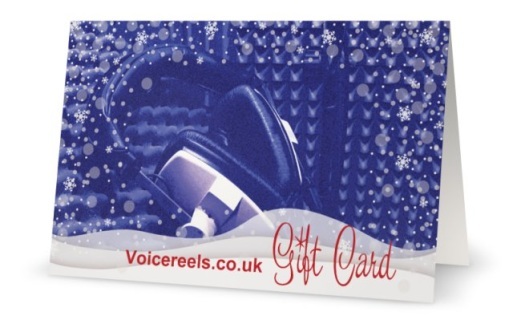 Redeemable only with voicereels.co.uk. Gift vouchers cannot be exchanged for cash. Gift vouchers are non-refundable. Bookings must be made within 12 Months of date of purchase to use vouchers. Vouchers are dispatched within 2-3 working days. Postage is UK only.